You're looking at a cost of $99.99 with $20 payments over the next 24 months (or whenever you pay off the remainder). 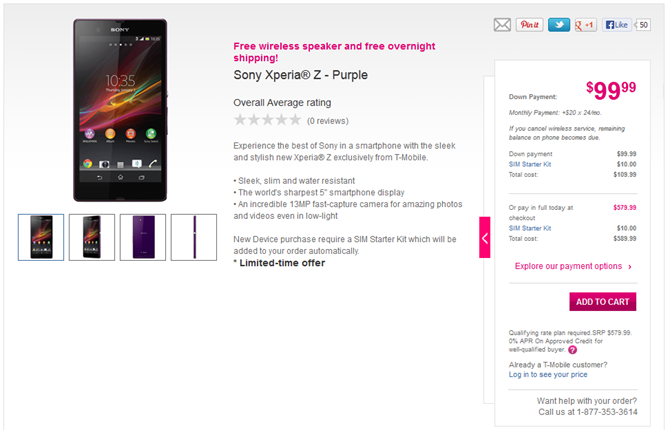 If you want to buy it outright, that'll cost you $579.99. 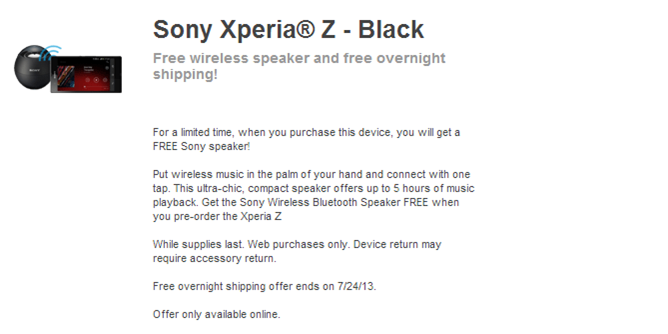 The Sony US store was previously selling the device at full retail price with a ship date of 7/17. So maybe T-Mobile is taking regular orders, but isn't dropping them in the post until tomorrow. The Xperia Z might be a few months old, but it's still a viable device. The Snapdragon S4 Pro is pretty fast, and it has 2GB of RAM. The 1080p screen doesn't have the best viewing angles, but it's clear. There aren't a ton of high-end smartphones that are water-resistant either. 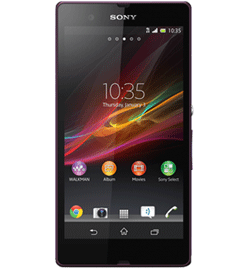 Maybe you'd like to use the Xperia Z for a while, but don't want to commit? Well, T-Mobile has started offering Jump. Just a thought.